New Year's Eve Fireworks! - Yo! Venice! Home Neighboring Communities New Year’s Eve Fireworks! 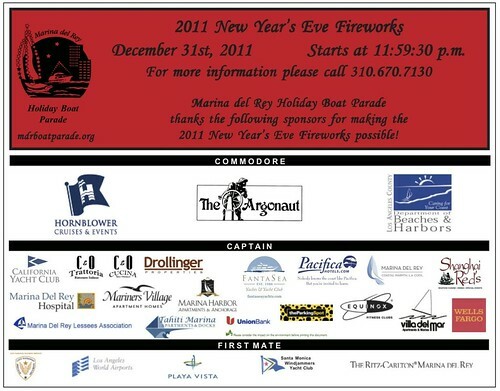 You don’t have to go far to see firework’s this New Year’s Eve, as LA Beaches and Harbors and a collective of Marina Del Rey businesses got together to light some up over the Marina starting at 11:59:30! Bring in 2012 with a bang! Burton Chase Park at 13650 Mindanao Way is always a good place to watch them from!